Whenever I visit the company the development is visible. Though the progress is slow, it is a pleasure to follow the development and start new things. 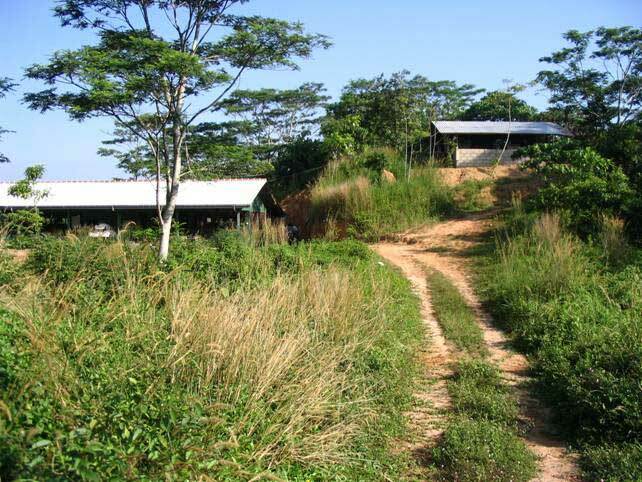 Now the first plants in the tea plantation are growing and in a couple of years we can start harvesting. It should be a very good quality and I look forward to find out if it is as good as they expect. The idea is to grow various plants in places we can not use for other purposes. It will look nice and should cover the costs for the gardener. 250 trees are also started and should be ready for use in ten years. This is much faster than in Denmark. Constantly new parts are developed. 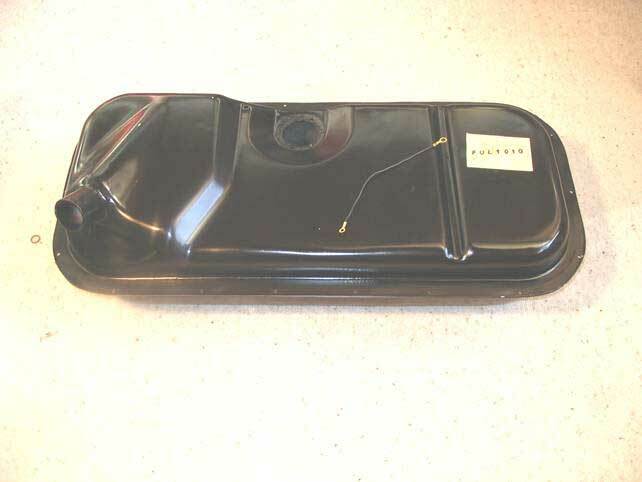 Now we also have the fuel tank in fibre glass for the Van and Pick-up. Over the years around 500 different parts are produced. 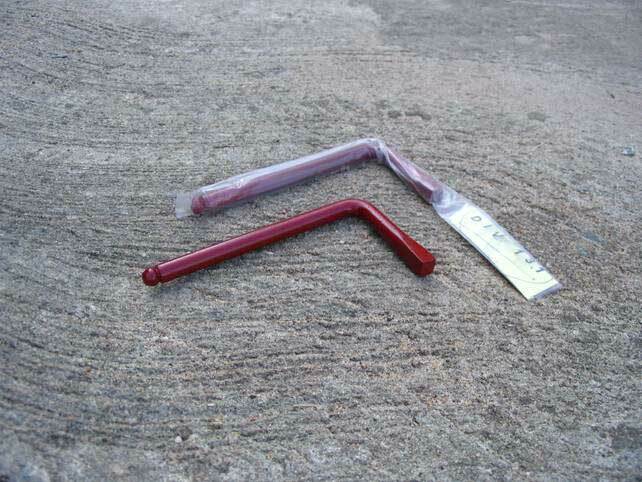 You can find an updated list on the page about parts produced in Sri Lanka. Still many parts are waiting and often we find out that a producer has stopped as the demand for a part is too little. We must do our best to keep everything available and make it easy to maintain and rebuild a Morris Minor. 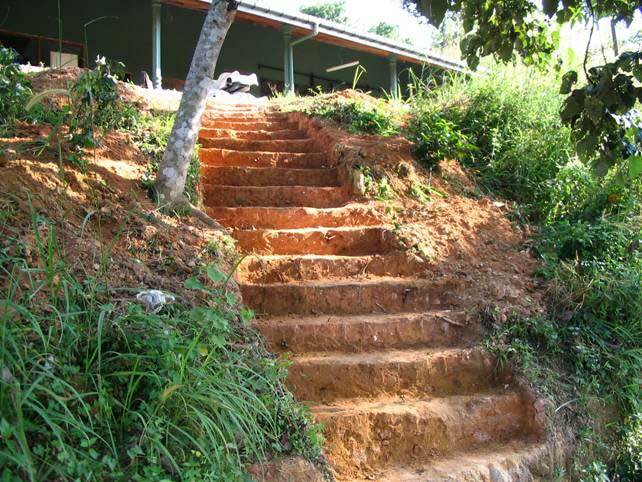 The soil is hard and it is easy to make steps. I think it will need some attention after the rainy season. 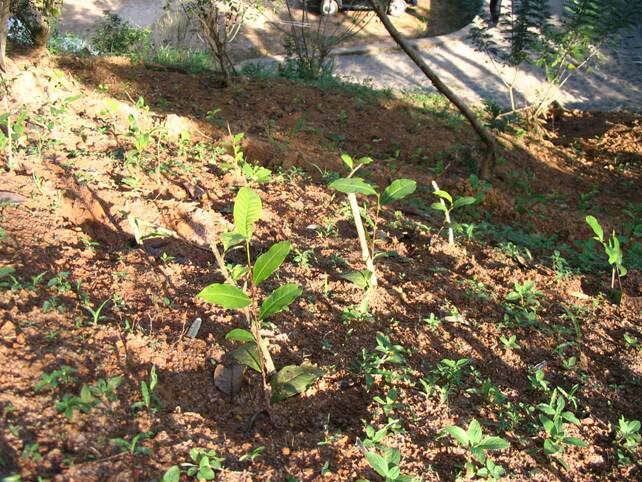 New tea plants are small, but will develop fast and be one meter high and cover the ground fully. One more building since October. Fibre glass fuel tank for Morris Minor. An earth wire is delivered with the tank for the fuel gauge. 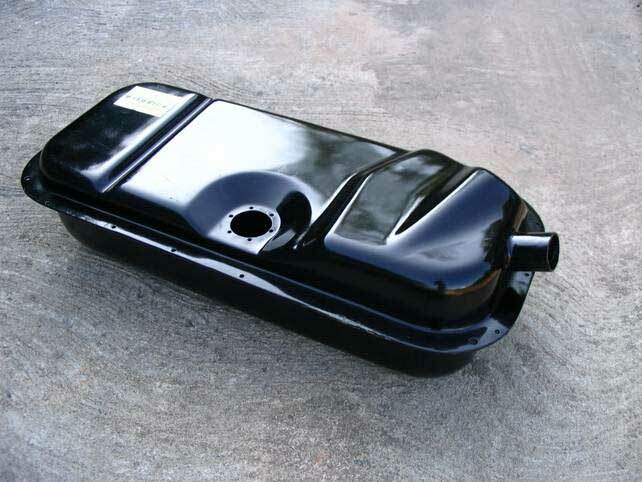 Fibre glass fuel tank for Van and Pick-up. This wheel brace can also remove the hub cap. 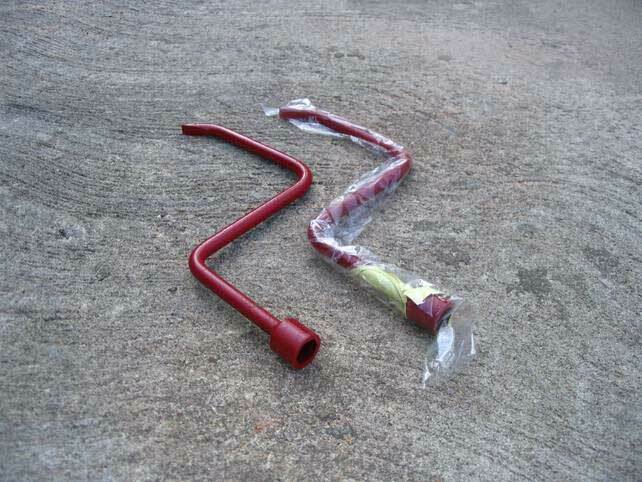 Tool for rear axle drain plug.